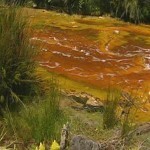 Rivers feel brunt of mining in TAS (0) June 5, 2013 Tasmania’s Resources Minister Bryan Green said mining activity has contaminated about 40 Tasmanian rivers. 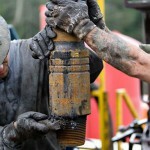 Accessing shale gas would be expensive and difficult (0) June 5, 2013 Researchers from the Australian Council of Learned Academics have said Australia’s shale gas deposits are far greater than previously believed, but accessing them will be difficult. 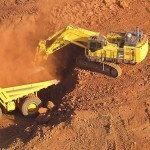 Mining sector faces confidence crisis: PwC (0) June 5, 2013 Globally the mining sector is facing the flow on effects of uncertainty and a lack of confidence, a report has found. 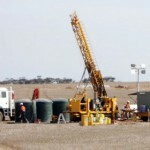 Boost for SA as mining projects progress (0) June 5, 2013 Three different projects in South Australia significantly progressed yesterday, lifting the state’s resources sector. 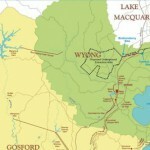 Wallarah 2 coal mine to move 10,000 tonnes a week (0) June 5, 2013 The billion dollar Wallarah 2 Coal project plans to transport around 10,000 tonnes of coal a week from Wyee to Newcastle along the main rail line. 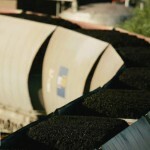 Greens reject coal dust report (0) June 5, 2013 The Greens have slammed a report by the Australian Rail Track Corporation that found coal trains do not have stronger associations with elevated dust. 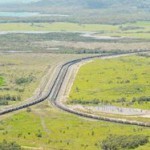 Approved NT mine expansion will create 300 jobs (0) June 5, 2013 GlencoreXstrata’s $360 million expansion plans for its McArthur River mine have been given the green light by the Northern Territory Government. 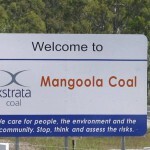 Cockatoo Coal sells stake in coal exploration project (0) June 5, 2013 Cockatoo Coal has sold its stake in Hume Coal, making Korean steel company POSCO the sole owner of the Southern Highlands coal project. 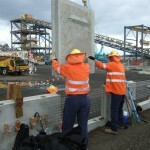 Contractor dies on Daunia mine (9) June 5, 2013 A contractor died suddenly on BHP Billiton Mitsubishi Alliance Daunia mine near Moranbah in Queensland yesterday. 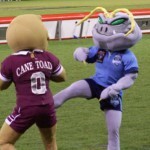 Explorers’ state of origin challenge (0) June 4, 2013 The NSW Minerals Council says the Queensland Government has issued a minerals exploration challenge to NSW just in time for this year’s first State of Origin match. 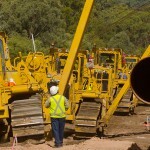 SA Premier promises $27m for job growth (0) June 4, 2013 SA Premier Jay Weatherill has announced that Thursday’s budget will offer an extra $27 million over two years for the state’s Skills for all program. 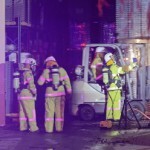 Arson suspected at Wangara mining business (0) June 4, 2013 A fire investigation officer is investigating whether a fire at a Wangara mining company’s site overnight was caused by arsonists. 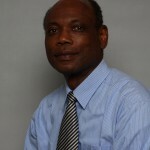 New geotechnical chair UNSW (0) June 4, 2013 An international mining expert has been appointed as the new chair of Mine Geotechnical Engineering at the University of New South Wales. 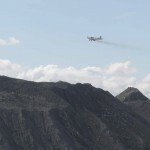 Coal mine looks to green solution to reduce dust (0) June 4, 2013 A Rio Tinto coal mine is releasing seeds over its operations to reduce dust. Indigenous employment on the Minerals Council agenda (0) June 3, 2013 The Minerals Council of NSW and the NSW government have signed an agreement to boost jobs for Aborigines. 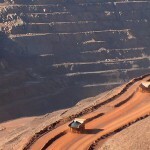 Freeport mine could be shut for two months (0) June 3, 2013 A government official said on Saturday Freeport McMoRan Copper and Gold cannot restart production at its large copper mine until investigations conclude into the mine collapse. 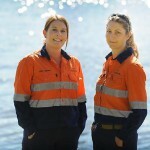 Blaming FIFO for failing relationships is a “cop-out” (0) June 3, 2013 Blaming fly-in, fly-out rosters for destroying relationships is a “cop-out” a women’s mining group claims. 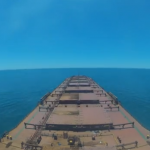 BMA’s Daunia mine delivers first coal load (0) June 3, 2013 BHP Billiton Mitsubishi Alliance’s Daunia mine has begun pulling coal from Central Queensland’s Bowen Basin. 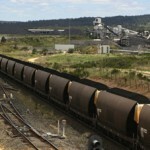 Coal trains not a stronger contributor to emissions: ARTC (0) June 3, 2013 The Australian Rail Track Corporation said no changes are required to reduce dust emitted from coal trains in the Hunter. 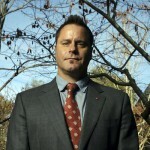 Bumping up taxes won’t close mines: Greens (0) June 3, 2013 Lifting mining taxes won’t lead to mine closures, Greens Senator Peter Whish-Wilson claims. 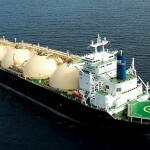 Bechtel hiring 500 workers for Curtis Island LNG (9) June 3, 2013 Bechtel is searching for around 500 workers as it urgently looks to fill roles on Curtis Island as work on the three multi-billion dollar LNG plants accelerates. 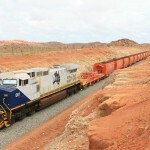 More steel price falls coming, iron ore producers told (0) June 3, 2013 Chinese steel producers are decreasing their production to more sustainable amounts, putting smaller West Australian iron ore projects at risk of price falls in the chief export commodity. 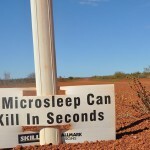 State approves $4.2 billion Central Queensland mine (0) June 3, 2013 The Queensland State Government has approved Indian-owned Kevin’s Corner project in Central Queensland despite a coordinator-general’s report warning nearby groundwater supplies would “be permanently lost”. 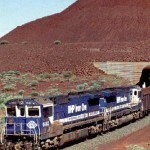 $18bn cut for Pilbara iron ore miners (0) May 31, 2013 Pilbara iron ore producers could be in for an $18 billion annual revenue cut. Rio miners take their fight to parliament to save jobs (0) May 31, 2013 More than 1500 people dependant on Rio Tinto’s Mt Thorley Warkworth mine have signed a petition urging the NSW parliament to help safeguard their jobs. 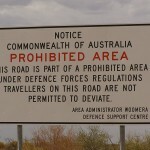 Government addresses competing interests at Woomera (0) May 31, 2013 Australia’s key weapons testing area, Woomera in South Australia sits on top of extensive mineral reserves, a conundrum the Federal Government is attempting to solve. Coal miner seeks water discharge approvals (0) May 31, 2013 GlencoreXstrata’s Mangoola coal mine in the Hunter Valley is applying for approval to discharge salt water into the Hunter River. Weaker capex hints mining boom end (0) May 31, 2013 The mining investment boom may have peaked but economists are still optimistic about the strength of the Australian economy as business spending expectations stays high. 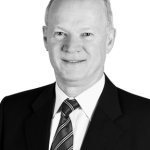 Ausenco chairman resigns (0) May 31, 2013 Wayne Goss, Ausenco’s chairman, has resigned effective today. 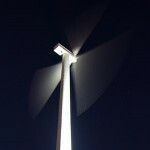 Newcastle turbine gone with the wind (0) May 31, 2013 The famous Kooragang Island wind turbine in Newcastle will be up for sale, making way for a coal-loader in the future. 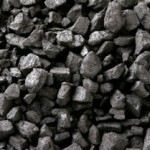 Injured QLD miner gets $290,000 compo (0) May 30, 2013 A worker injured in an underground coal mine in central Queensland in 2009 has received $290,000 in compensation. Xstrata coal mine expansion plans goes on public display (0) May 30, 2013 Plans to expand the Mangoola coal mine in the Hunter Valley are now open for public exhibition. 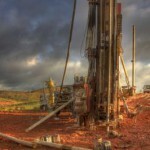 Mining investment figures to be announced (0) May 30, 2013 Official capital expenditure figures will be announced today, throwing light on the future of Australia’s mining investment boom. 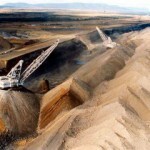 Grim warning for mining services firms (0) May 30, 2013 As the mining boom shrinks, mining services firms will face the brunt of it and many companies could go under in 2013. 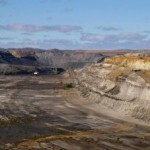 Australian miners could invest $150b in Latin America (0) May 30, 2013 Foreign Affairs Minister Bob Carr said Australian mining companies could invest $150 billion in Latin America over the next decade. 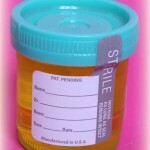 Lab worker jailed for forged urine samples (0) May 29, 2013 A former laboratory assistant faces a one year jail sentence for helping WA mine workers get around illegal drugs testing. 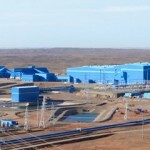 China looks to Oyu Tolgoi for concentrate supply (0) May 29, 2013 A mine collapse in Indonesia has decreased regional oversupply of raw materials and Chinese copper smelters are looking to Rio Tinto’s Oyu Tolgoi mine for concentrates in the spot market. 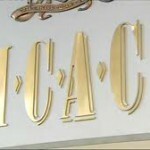 New South Wales shouldn’t have to wait for justice: Opposition (0) May 29, 2013 The state opposition is calling for a special prosecutor to be appointed who has the power to quickly deal with those found guilty by the NSW corruption watchdog. Seeing Machines signs deal with Caterpillar for fatigue monitoring system (0) May 29, 2013 Technology originally developed at Australian National University will be available through global mining giant Caterpillar, after the US company signed a strategic agreement with Canberra-based Seeing Machines. 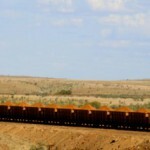 Mining boom transitions to the next phase (0) May 29, 2013 With resource exports overtaking construction imports stage three of Australia’s mining boom has arrived. 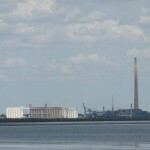 Pirie declared suitable mining export point (0) May 29, 2013 A government review found Port Pirie to be a feasible place for the mining industry. 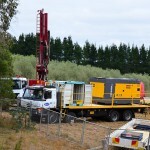 CSG protests will end expansion: report (0) May 29, 2013 Protests opposing coal seam gas projects with ‘myths’ are jeopardising around $150 billion investment bonanza, according to a mining industry report.